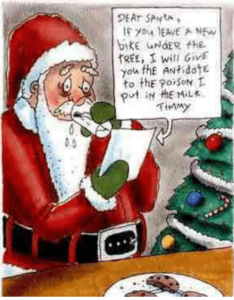 Get your LCB bike orders in before the Christmas cut-off this Thursday! Yes – it is that time already! A reminder to all our loyal customers and friends that the cut-off for guaranteed Xmas orders from our bicycle suppliers is close-of-business this Thursday, 6 December! Please make sure you come and see us and place your orders before this date to avoid disappoint. A bicycle is the perfect gift for your family or yourself – get outdoors, breath some fresh air, have fun and enjoy life!